Recently I took a trip to the eastern part of Poland near Białowieża National Park. This area of Poland is known for Eastern Orthodox Churches and the European Bison (in Polish “żubr”). 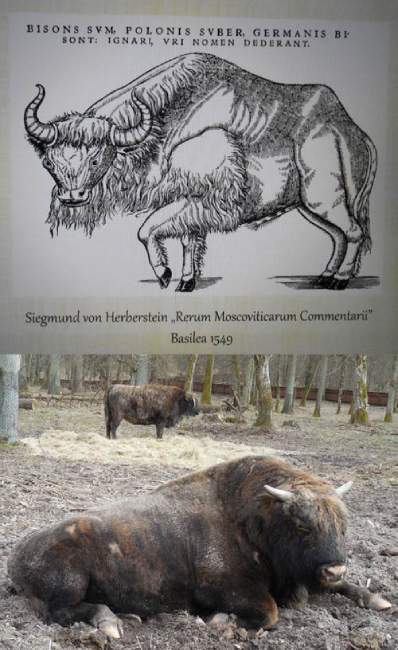 I learned that there are few żubr left in Europe and they are related American bison. While I was able to see churches in their natural habitat, it proved more difficult to see żubr. In the end I had to pay to see captive bison. 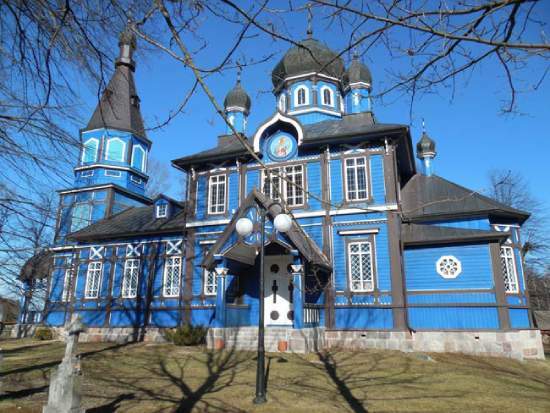 This Orthodox church was striking to me because of its blue color and strong relationship with the sky. 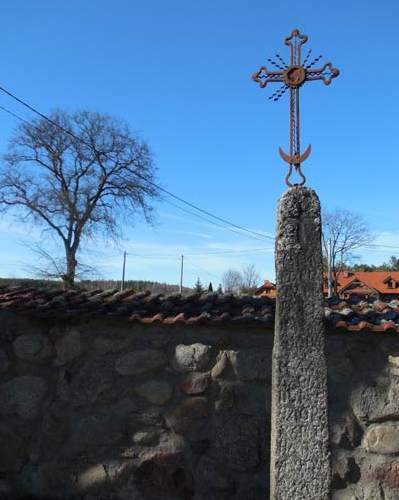 Metal Cross in the yard around the church. Much of the remainder of my time in this area was spent walking through small villages. 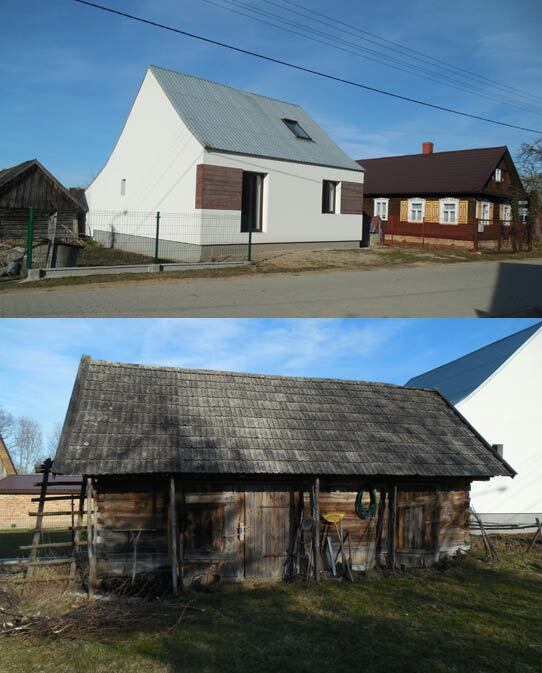 It seems that many old wooden houses are being renovated and there are at times striking signs of new architecture. 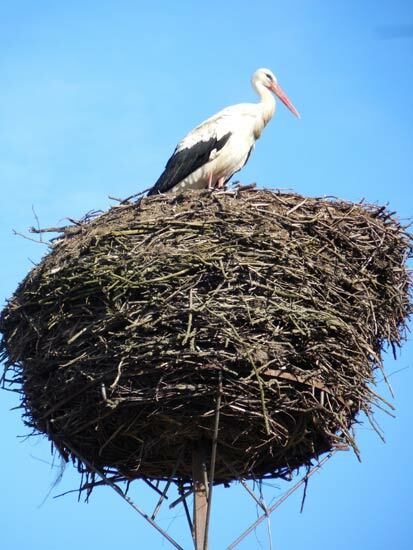 While I do not completely understand this, there are nests set up to aid storks in most areas of the countryside it Poland. 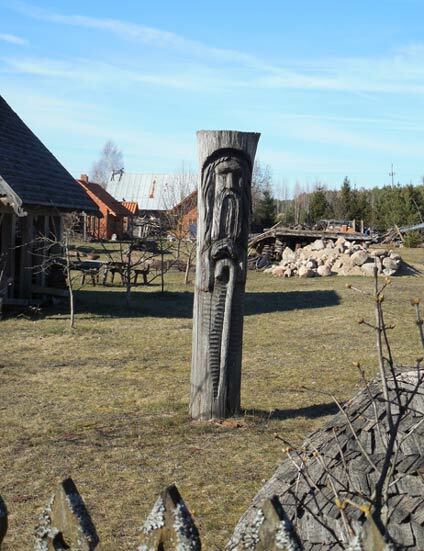 I also often see a kind of folk sculpture that is carved in wood. I particularly enjoyed this carving of an old man. He seems a bit stiff and strait like the beam of wood. It felt like the wood was made for him or he was made perfect for the wood. 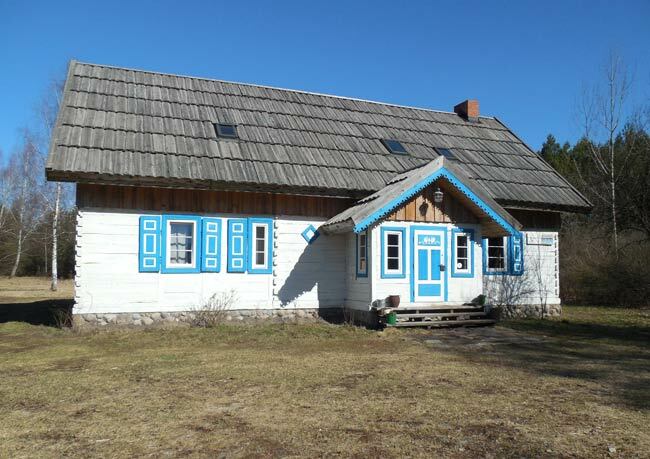 For three nights I stayed in a wooden building built for guests. 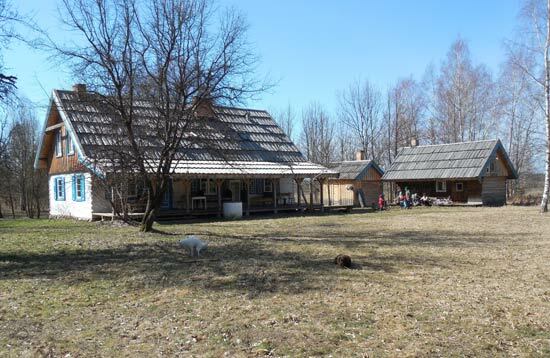 The owner explained that it was build from the materials of two barns. The food was vegetarian and very good and the other guests were great to be with. Here is a view of the front and back of the house. Pets were are also allowed at the guesthouse. 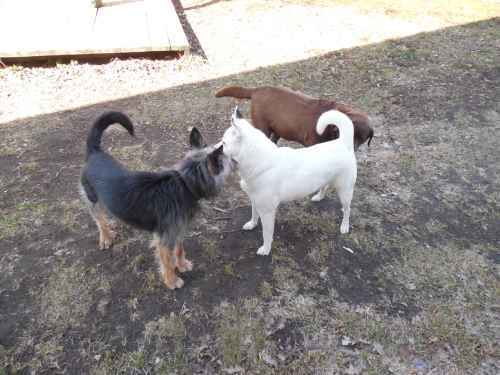 I counted four dogs and a cat. Humans and animals all had a good time.